This view into mama Luigi’s kitchen was part of a gallery show, featuring tiny paintings. We were given a theme word and then asked to create a painting. The theme word for this was “Tuscany.” Everything is there for a great Italian meal except wine and where’s the pasta? Materials: Original oil on canvas. 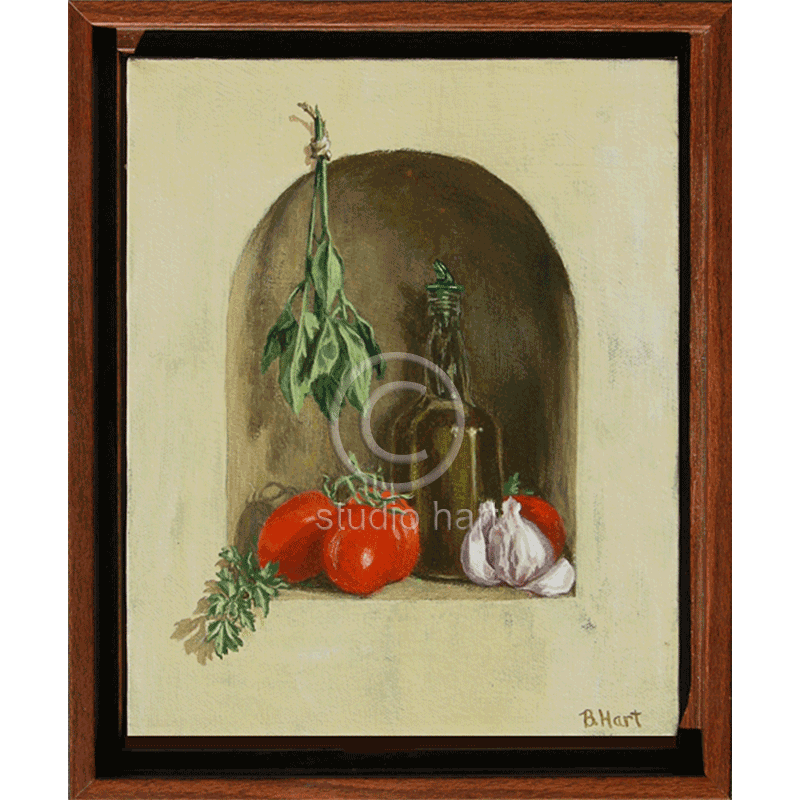 Rich brown shadow box, solid wood frame.